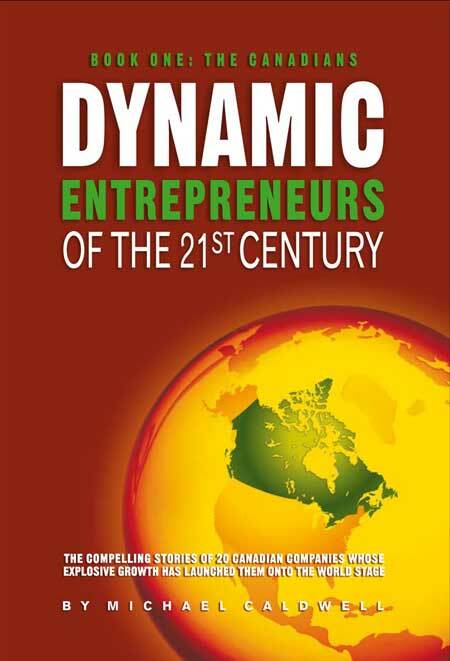 M&R Environmental makes into Michael Caldwell's latest business book on the top 20 dynamic entrepreneurs in Canada. If you're interested in obtaining a free copy of the book please contact your M&R sales representative as soon as possible, quantities are limited. Total Lubricants Canada has acquired Ultramar’s lubricants business, and Total branded lubricants will be sold throughout the Ultramar network through a partnership announced Monday. Montreal-based Ultramar’s company-operated stations will offer Total lubricants to their customers while Ultramar will also recommend Total lubricants to its business partners. The price of the lubricants business acquisition was not disclosed. Olivier Goutal, president of Total Lubricants Canada, said Total sought a stronger presence in the eastern part of Canada, which made Ultramar a good fit. “Ultramar has quite a large service station network in the eastern part of Canada, including Ontario, Quebec, and all the eastern provinces,” Goutal told Lube Report. Total Lubricants Canada has a 35,000 metric tons per year blending plant in Montreal, which was built in 2000. The company employs 54 in its offices and plants in Montreal, Quebec, Toronto and Calgary. “We will take over five employees, which were all the employees working directly in the lubricants business of Ultramar,” he noted. Total said the alliance will allow Ultramar customers to benefit from Total’s automotive and industrial products, including synthetic, fuel efficient and biodegradable lubricants. In December 2007, French major Total acquired Canadian blender Tribospec, and changed its name to Total Lubricants Canada. In December 2008, the company signed a five-year lubricants distribution agreement for Canusa Automotive Warehousing to distribute Total automotive lubricants and coolants in Ontario. 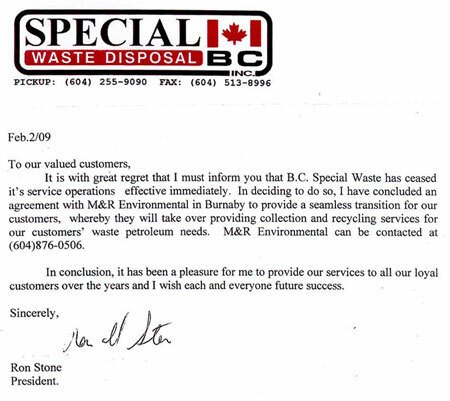 In September 2009, Total Lubricants Canada appointed M&R Environmental Ltd. as a distributor in British Columbia. A subsidiary of Valero Energy Corp., Ultramar owns and operates the 265,000 barrels per day Jean-Gaulin refinery at Levis, near Quebec City. Products include gasoline, jet fuel, diesel, home heating oil, butane and fuel oil. Ultramar, which has more than 3,700 employees, markets gasoline and diesel fuel via a network of 830 retail sales outlets and 85 cardlocks for the trucking industry, in addition to selling home heating oil. Published by LNG Publishing Co., Inc. Copyright © 2009 LNG Publishing Co., Inc. All rights reserved. As an owner of both a dog and a cat I would like to offer Soren Rasmussen and Carla Hetland my profoundest sympathy in the loss of their pet due to antifreeze poisoning. Every year hundreds of unfortunate animals die of this cruel and horrible death. Approximately three years ago Scott Fraser then MLA for Alberni-Qualicum met with representatives of M & R Environmental to express his concerns on what was happening in the antifreeze industry regarding the deaths of animals. He like hundreds of other pet owners had just lost his pet cat Andre to antifreeze poisoning. Upon the completion of that meeting Harold Winberg, Vice President of Sales and Marketing for M & R Environmental decided that we should find a bittering agent to put in our brand Eco-Freez Coolants to help alleviate this problem. It was decided then and there that Bitrex (a bittering agent) would be put in all Eco-Freez Coolants. Since then the B.C. government has mandated that effective January 1, 2011 all antifreezes sold in B.C. must have this bittering agent included. This bittering agent inclusion in new antifreeze will drastically reduce these deaths. It should be noted that the addition of Bitrex to antifreeze is not the final cure. Care must still be taken in not leaving spills of antifreeze on the ground or in open jugs that children can get at. Used antifreeze must be disposed of in a responsible and environmental conscious way, not leaving it to soak into the ground or dumping it down a storm sewer. Antifreeze is a leachable toxic waste and must be handled accordingly. Let’s hope that the inclusion of Bitrex in antifreeze eliminates these needless deaths of our furry friends as well as continued education teaches people it is not okay to leave it laying around. 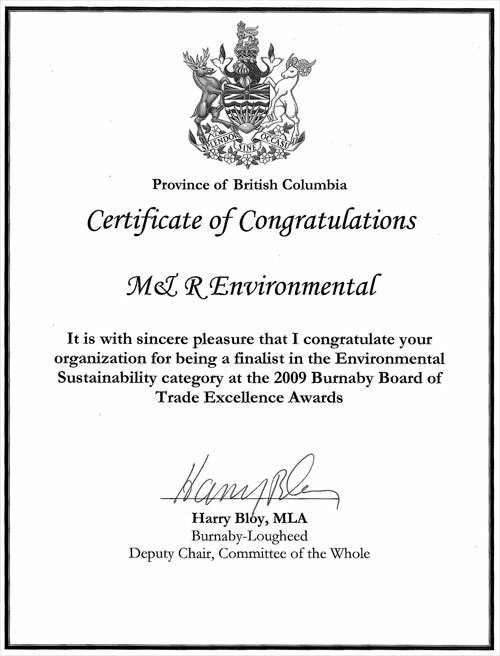 M&R Environmental Ltd. is a privately owned and operated company based in Burnaby BC, Canada that is market leader in environmental stewardship. Please click on any of the 2 images below to see larger image. 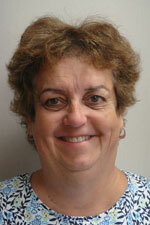 I’m very pleased to announce that Steve Quieto has joined the M&R sales team. Steve will be our Business Development Manager in our latest venture, TOTAL Lubricants. Steve has been in the automotive industry pretty much his whole adult life, 1st as a licensed mechanic (automotive and heavy duty) and then in sales with NGK Spark Plugs for almost 10 years. As well, Rebecca Hart has joined the M&R sales team and will play an important role in the development of the distribution and sales of TOTAL. Rebecca had been selling lubricants with another national company for several years and before that she was with Laidlaw Environmental. With this new business development we’ll need more help inside our office so Kari Larson is joining the team and will be our newest customer service representative. 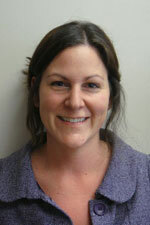 Previous to M&R she worked at Van Houtte coffee, so you may have spoken to her if you used their services. It’s really exciting to have such a talented team of experienced customer service and sales professionals to head up our newest venture: the distribution of packaged and bulk TOTAL Lubricants. For those of you unfamiliar with TOTAL they are the 4th largest oil company in the world with a presence in over 142 countries. They have been very active in the Alberta tar sands but are only just now entering the finished lubricant market in Canada. 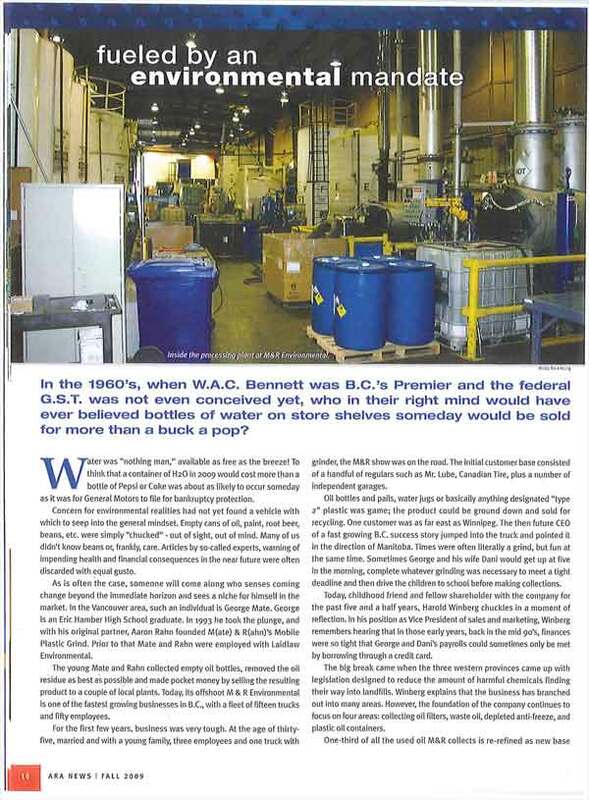 May 13, 2009 Burnaby, BC - M&R Environmental became the first major collector and processor of used oil, used oil filters, plastic oil containers and antifreeze to commit to neutralizing the carbon impact of its company operations, a significant extension of its environmental policy and environmental stewardship. 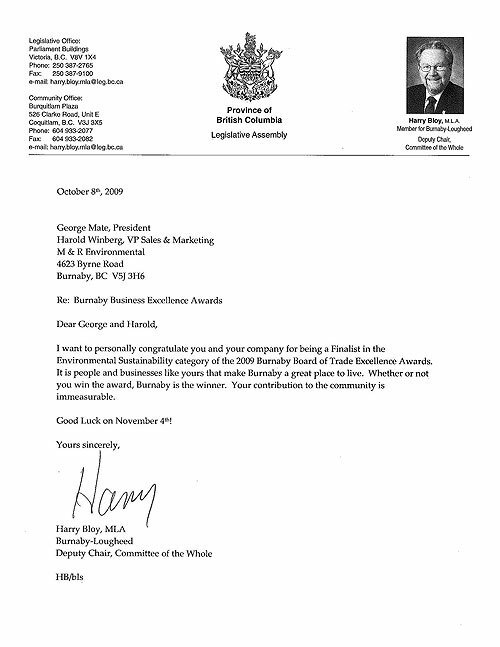 “As a locally owned and operated company we feel that leadership starts at home, which is why we are going carbon-neutral, but this should only be the start of building long-term partnerships with our customers, stakeholders, and suppliers of all sizes to team up and make a difference for the earth we all share,” George Mate President and CEO stated. As well Mate challenged their competitors to join in “a long term, carbon-neutral commitment to our community, lets show we all care”. 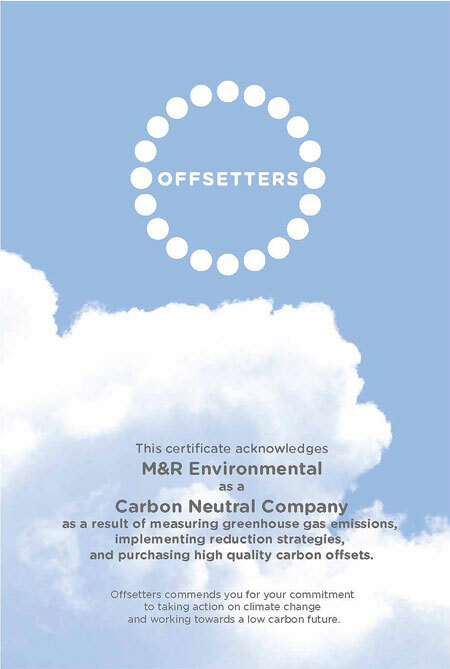 To achieve Carbon Neutral status, M&R, with the help of Offsetters, took an inventory of their organizations total greenhouse gas (GHG) emissions and then implemented strategies to reduce and eliminate those emissions. To meet its carbon neutral commitment for M&R’s operations, the company will pursue an aggressive strategy of driving additional energy-efficiencies, maximize its purchasing of locally produced supplies and offset emissions through the purchase of Offsetters’ high quality carbon credits. M&R Environmental is a privately owned Burnaby based environmental collector and processor that operates a state of the art recycling and processing plant that includes 14 trucks. WHO WON THE SCRATCH AND WIN GRAND PRIZE????? 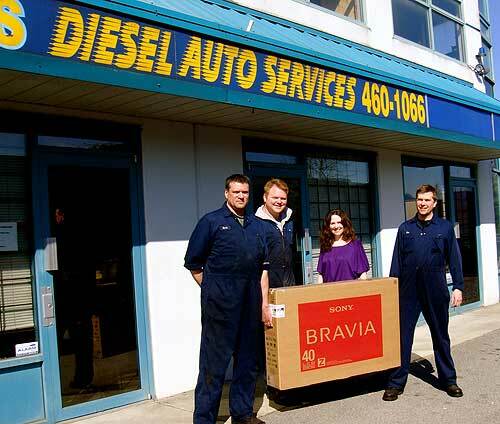 I am very pleased to announce that North American Diesel and Auto Services was our GRAND PRIZE winner of a 40” LCD TV! Meghan Bishop, Area Sales Manager for M&R Environmental presents the Scratch and Win grand prize to the staff of North American Diesel ......a 40" Sony Bravia LCD TV. Congratulations!! Since the last quarter of 2008 we all have faced very difficult challenges on many levels, the economic transformation and the paradigm shift has been incredible. We’ve seen the value of every recyclable waste stream we collect and process decrease at a pace never seen before, and it continues weekly. For example, your used oil which can be either used as an industrial fuel or re-refined into reusable base oil to make lubricants has diminished in value by more than 66% from last summers prices. As well, the plastic and steel we process haven fallen even more dramatically. In early 2008 we embarked upon a strategy to diversify the markets to which we sell the used oil we collect and process to extract maximum value. The result is we now sell to not one, not two but into three different markets. The three markets available to us are as follows: the re-refining industry, paving industry (used as a heating fuel) and the IFO (industrial Fuel Oil) market, which is in the U.S. This strategy positions us very well in these challenging times, and you have our promise that when the markets eventually turn around so will the rebates we offer you. M&R in many ways has chosen to really not participate in this recession; our company is not saddled with high capital investments and as such can react quickly to the changes taking place in the market. We are committed to providing the very best level of service to our customers. We pride ourselves in being the industry leader and as a locally owned and privately held company we are not subject to the stock market fluctuations that others in our industry face. In order to offer the best service we can to our growing number of customers we have taken delivery of another waste oil truck, increased the capacity of our waste antifreeze vacuum distillation units and added a faster oil filter crusher. We also feel that this positions us very well for the future, which we are optimistic about. This October M&R will be celebrating our 15th anniversary of servicing the greater Vancouver area and the culmination of our 15 years singular focus on providing our customers the best service for the proper disposal of your hazardous wastes and the sales of ECO-FREEZ Premium Coolants, QWIK DRAW Coolant exchange, R&D Parts Washers, CUDA Aqueous Parts Washers and ENPAC Spill Containment Products. We are proud to be the only company in our industry that truly offers FULL CIRCLE SERVICE. Another tough challenge we have is to communicate with each of you in a timely and effective manner in regards to the rapidly changing market conditions. Please feel free to contact your M&R Representative during business hours at the following numbers. They will each have the latest market information as it relates to our ongoing partnership. Thank you for continuing to use the services of M&R Environmental. Your decision to use our services is not one we take lightly. We will continue to work hard (and smart) to retain your confidence and your business; we look forward to bringing you new and innovative services in 2009. Right from the first day of 2009 we all been facing very difficult challenges on many levels, the economic transformation and the paradigm shift has been incredible. We’ve seen the value of every recyclable waste stream decrease at a pace never seen before, and it continues almost daily. We are reading or hearing daily in the news the doom and gloom and the terrible situation the global economy is in and wondering when will we ever hit bottom, so we can begin the long climb back up. M&R on many levels has chosen to really not participate in this recession. We pride ourselves in being the industry leader and as a locally owned and privately held company we are not subject to the stock market fluctuations that others in our industry are facing. In order to offer the best service we can to our growing number of customers we have taken advantage of an opportunity one of our competitors presented us by hiring Tony Archer. 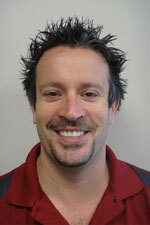 Tony started with us as an Area Sales Manager on March 2nd, and we are thrilled to have him on the M&R sales team. As well, we have taken delivery of our 5th waste oil truck, increased the capacity of our waste antifreeze vacuum distillation units and added a faster oil filter crusher. We also feel that this positions us very well for the future, which we are optimistic about. Something else we have noticed is that a few of our customers waste oil has been removed without their authority, we guess it’s a case of desperation on the part of a competitor, so we ask all of you to be diligent and keep a watchful eye out. If you do catch them in the act please contact your local police, it is theft and then let your M&R representative know immediately so that we can contact BCUOMA right away. They will each have the latest market information as it relates to our ongoing partnership. This letter is prompted by a large truck parked just outside the view of my office window. It was only there for a short time before I went outside, just as they were finishing picking up about 500 liters of oil. No muss or fuss, and a very pleasant operator. But let me go back a short time; our satisfied arrangement began several months ago when Sunny Voigt dropped in to offer us an upgrade to M&R from our then current supplier. Knowing Sunny from her previous position with another company, we realized the offer was most likely a good thing. (It was easy to see that her previous employer was going to suffer a major loss & M&R was gaining a valuable asset). We became an M&R customer. Sunny set us up on a schedule for the various services and good things started to happen. We needed one schedule adjustment, which Sunny arranged within hours of our request. Our pickup routine has been running flawlessly ever since. No more cranky drivers, the wrong truck showing up, or juggling of our equipment for their access. As I stated at the onset of this testimonial, we are receiving great service - professional operators who come by quietly and efficiently. They park so as not to interfere with our neighbors, fulfill our needs, then they're gone. And all of this was arranged by your charming, efficient and effervescent representative, Sunny. What a difference 15 years makes! 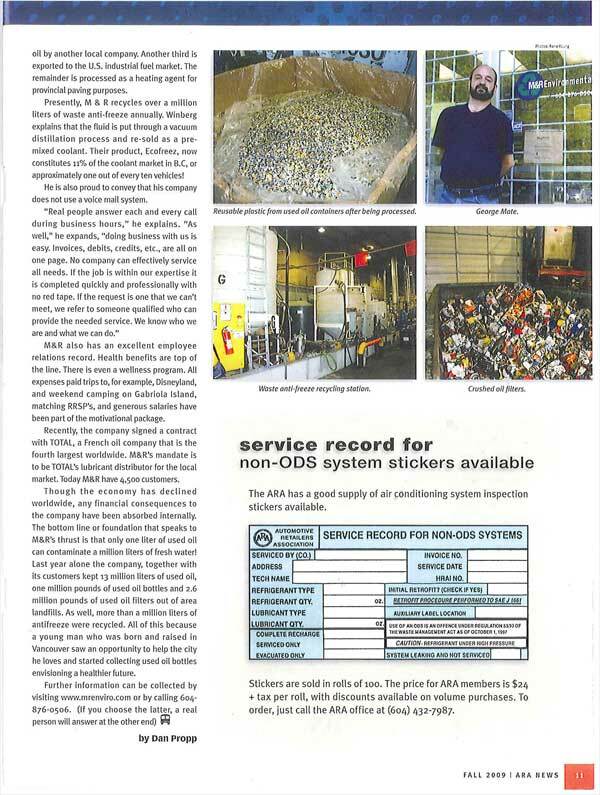 This year M&R will be celebrating our 15th anniversary of servicing the greater Vancouver area and the culmination of our 15 years singular focus on providing our customers the best service for the proper disposal of your hazardous wastes and the sales of ECO-FREEZ Premium Coolants, R&D Parts Washers, CUDA Aqueous Parts Washers and ENPAC Spill Containment Products. We are proud to be the only company in our industry that truly offers FULL CIRCLE SERVICE. These last few months though have been a real challenge on many levels, the economic transformation and the paradigm shift has been incredible. We’ve seen the value of every waste stream erode at a pace never seen before, and it continues daily. We’ve either read or heard on the news the doom and gloom and the situation the global economy is in. M&R on many levels has chosen to really not participate in the recession. We pride ourselves in being the industry leader and as a privately held company we are not subject to the stock market fluctuations. In order to offer the best service we can to our growing number of customers we have ordered another waste oil truck, increased the capacity of our vacuum distillation units and added a faster oil filter crusher. We also feel that this positions us very well for the future, which we are optimistic about. They will each have the latest market information as it relates to our ongoing partnership. Thank you for continuing to use the services of M&R Environmental. Your decision to use our services is not one we take lightly. We will continue to work hard (and smart) to retain your confidence and your business; we look forward to bringing you new and innovative services in 2009.